Quality Contract Negotiation services cover virtually all contracts related to healthcare information systems. Our professionals have years of experience in working with vendors and healthcare organizations in negotiating fair and equitable contracts for both parties. Quality’s goal in negotiating any contract is to insure that the contract is executable by both sides. Our professionals have negotiated contracts as consultants and as employees of healthcare and other organizations. We bring the knowledge and skills of the entire company to bear in developing and negotiating these contracts. Our professionals work well with the organization’s staff as well as the organization’s attorneys or outside law firms. Our contract negotiation professionals have many years of experience in negotiating contracts with application system vendors, hardware vendors, service vendors, outsourcing vendors and telecom vendors. Quality brings all of these experiences to bear in assisting your staff through the contract negotiation process. Our professionals have performed contract negotiations in both a consulting environment and as management professionals in healthcare organizations. Quality takes pride in the quality of the work we produce. 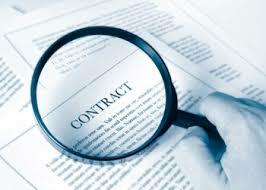 Our goal is to negotiate contracts where our client will never have to deal with issues after the contract is signed.